Mission Inn, located 30 minutes or so northwest of Orlando in what remains rural and still underpopulated citrus country, is one of Florida’s oldest and in many ways most charming resorts. Doors opened at the original Floridian Hotel in 1924, but the first golf course, now called El Campeón, dates back to 1917. 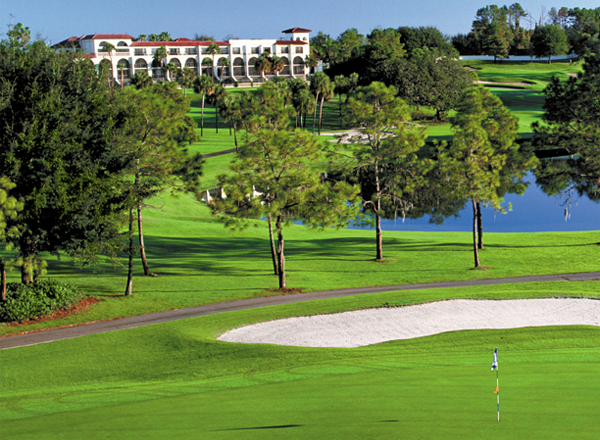 The Beucher family purchased the property in 1964–renaming the former Floridian Country Club and imbuing it with its Spanish themes and architecture–and has owned and nursed its growth it ever since. The family’s hands-on care and touch are evidenced everywhere throughout the property. El Campeon’s holes rise and fall dramatically along a ridge on two sides of the property. The tees and greens of six of El Campeón’s holes are propped some 80 feet above their companions along a prominent sand ridge that curls around the north/northeast perimeter of the central property. The effect of climbing up and down the steep inclines toward these holes and the Spanish-style hotel behind them is the closest thing Florida has to playing beneath the famed clubhouse at The Riviera Country Club. It was even more the case before the clubhouse was moved to the lower western side of the site due to space constraints, necessitating the renumbering of the holes. The 18th now finishes in the low on the opposite end of the course. At the par-4 7th you have to push your drive down the right near the stream for a shorter shot into the green. While Riviera’s holes play through a canyon, El Campeón’s twist through corridors of old oaks, pine and palm in a basin dotted with lakes and ponds. Most of the strategic action comes from the lower region where the holes do slow waltzes to an almost perfect tempo of alternating cuts and draws. Drives repeatedly must skirt bunkers or trees for angles into the smallish greens, and choices about how forcefully to cozy up to water hazards to shorten some long approaches occur repeatedly (notably at the downhill drives on seven and 14). 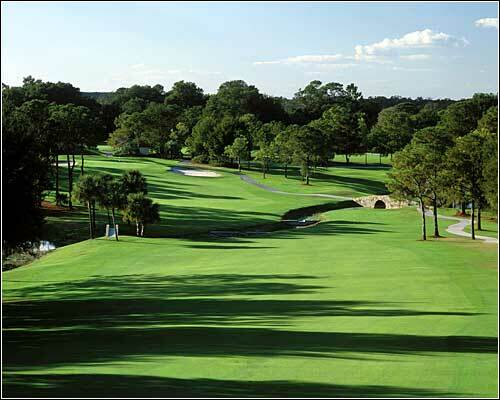 Though not topographically dramatic, the 16th and 17th are intriguing combinations of Old Florida and Old School. The 370-yard 16th, with a detached green set in a lake and encircled with moat bunkers, demands precision off the tee and nerve on the second. 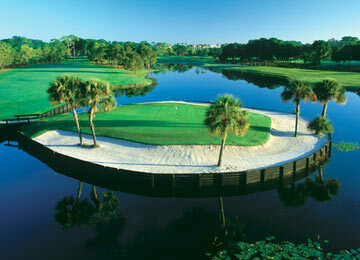 And its possible to get entirely out of position on any of the three zigzag shots on the 556-yard 17th, especially with the green set in a small amphitheater on the far side of a canal.